Palomar College student, and Escondido resident, Skylar Peterson Tosic was last seen Aug 30, 2015. He’s still missing and unaccounted for with Escondido police saying nothing new to report. Anyone with information should contact Escondido Police with info: (760) -839-4722 Or his family at (760) 705-5901 @FindSkylarTosic. “The Skylar Peterson Tosic Missing Person case at the Escondido Police Department (EPD) remains open and the investigation is on-going,” Escondido police Lt. Christopher Luck said in an email reply to Grapevine questions. Lick added: “Throughout the investigation, Investigators have followed up on all leads and continue routine checks of all available databases and sources of information. Additionally, from March through June of 2018, the Federal Bureau of Investigation (FBI) reviewed the case as well as conducted forensic searches on Skylar’s computer equipment. Leads have been few and far between. None have proved fruitful in the least. The search continues, now in cyberspace, under #SkylarPetersonTosic and on Facebook at https://www.facebook.com/HelpFindSkylarPetersonTosic/. Olivia Tosic is a popular Escondido music blogger, entertainment writer and publicist at The Rockin’ Rag. Her fiance was well-known Escondido musician Ukulele Ray who posted on his Facebook page a missing persons flyer for Tosic and statement. Ray died of natural causes last year. 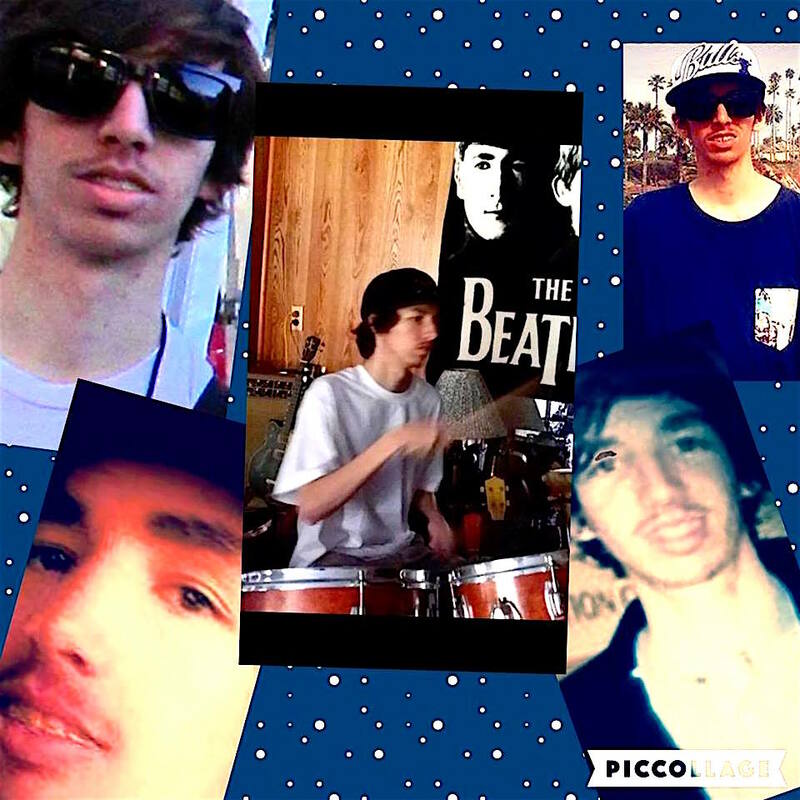 On Aug. 30, 2015; Tosic, 21, wandered off the Palomar College campus and disappeared seemingly into thin air. The mild-mannered student, known for a carefree spirit and musical tastes was last believed to be near the Wild Animal Park somewhere around the San Pasqual Agricultural Preserve that features broad farms and imposing cliffs. “Skylar met two males at Palomar College, who we believe have some ‘spiritual’ beliefs,’” Olivia Tosic said. “We don’t know what those beliefs are. They go by the names Thaddeus and Eli. Before disappearing seemingly into the thin San Pasqual Valley air, Tosic reportedly engaged in a series of troubling behaviors. First, he lost a great deal of weight and went from being an attentive, engaged youth to a detached person espousing questionable religious ideology. Just before disappearing, Tosic called a close relative whom he hadn’t spoken to in years, citing obscure scripture. Tosic told the relative he wouldn’t be talking to him again. Tosic apparently took an Uber ride just before Aug. 30 to a spot along the highway near the park, about six miles east of downtown Escondido on the road to Ramona. There, he got out and disappeared. Sometime later, Tosic was found dehydrated and passed out in a bed at San Pasqual Academy, a residential education campus for foster teens about five miles from the Wild Animal Park. He was returned home where he disappeared again two weeks ago. Sky Tosic is 5’11”, 100 pounds with hazel eyes and light brown hair. He has mouth braces and acne. Anybody with any information about his whereabouts or conditions is asked to contact Escondido Police at (760) 839-4722. Be the first to comment on "Missing student Skylar Tosic still unfound"